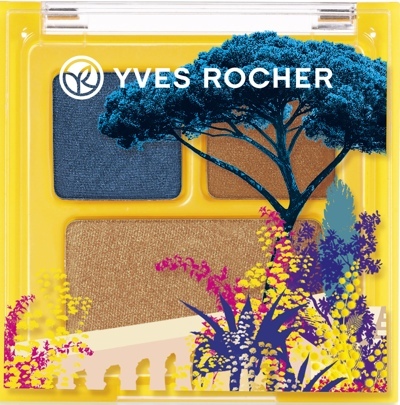 Yves Rocher was inspired by the charm of a summer spent by the Mediterranean Sea and all the bright colours there to create an irresistible and elegant makeup collection. Eye Trio - $9.95 - with three summer perfect shades: Smokey Blue - an ultra-pigmented blue to intensify, Bronze and Golden Beige - ultra pearly nudes to brighten. 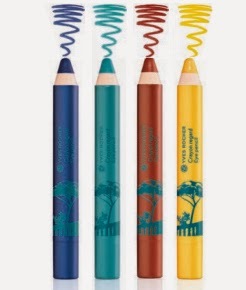 Eye Pencil - $5.95 - in 4 shades: Royal Blue, Mediterranean Blue, Copper Brown, Lemon Yellow - can be used as a shadow or liner - with a soft, creamy texture that is comfortable to use and long-lasting. 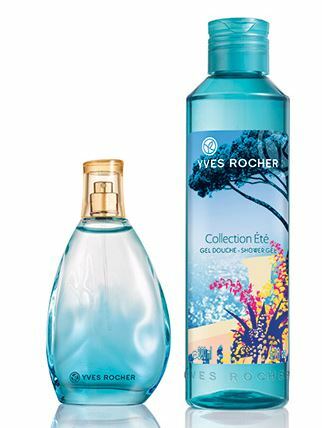 Collection Ete - 75ml EDT - $29, 200ml Shower Gel - $3.95 - with bergamot, lemon and mandarin natural essences intertwine to unveil the sun-filled heart of citrus flowers. At the base, the softness of woody notes reveals all the sensuality of the fragrance for a summer filled with freshness and elegance. Available in June at Yves Rocher stores across Canada and online at www.yvesrocher.ca.